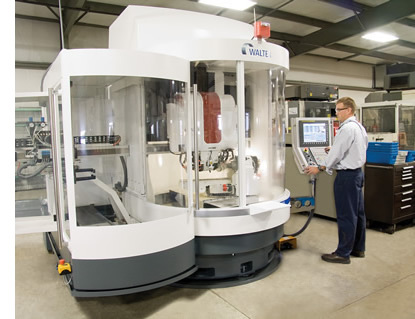 Located in Russia, Ohio, Voisard Tool is housed in a modern 25,000 square foot facility. We have a staff of over thirty well trained and experienced employees that have the most advanced and up-to-date equipment at their disposal. Together, they have hundreds of years of experience resharpening, manufacturing and selling the highest quality industrial cutting tools. We carry an extensive line of standard cutting tools and also design and manufacture custom solid carbide drills, step drills, reamers and end mills. We continually evaluate our operations and invest in technologies to assure that our customers receive the highest levels of service and quality possible. Whether you require a standard, custom or resharpened tool, Voisard Tool will deliver it in a timely manner, completed to the highest quality standards and priced to keep you competitive.